This product is designed to work with the Cozy Horse backpack style vests that are specifically made to attach to harnesses. A VEST IS NOT INCLUDED. Actual product is shown in the first and fourth picture. I designed this product for people who already have one of the backpack harness vests but would like to be able to occasionally use it without a harness. There is a loop at the top of each neck strap that the tabs from the backpack vest can attach to. There is a loop at the bottom of the chest strap for the backpack's elastic belly strap to run through. 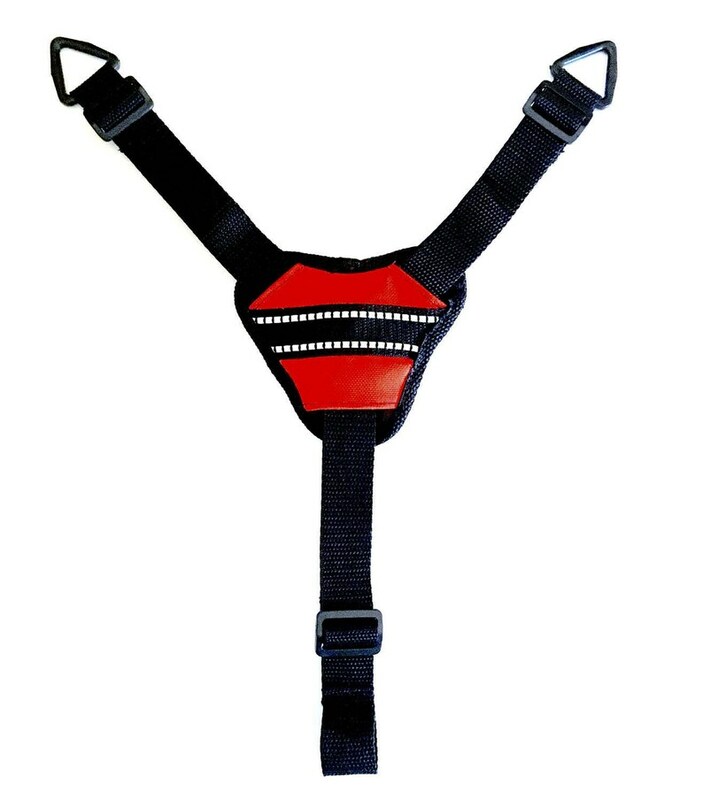 All straps are adjustable and should work for a medium to large dog. Center piece is padded and has reflective stripes to keep your dog more visible at night. Backpack vest itself is only shown to show how this product works! Again, a vest is NOT INCLUDED. This item will be hand made in the color you choose. Allow 2 -3 weeks for the completion of it. I bought this for use in an emergency in case my counterbalance harness was damaged so that my girl could still wear the packs to carry my insulin pump supplies and my ripped. It is well made and easy to use. All in all, I am very happy with my purchase.